"Zone Defense: Show Has A Lot To Work On Before We Can Be Creeped Out"
“There’s no murder if there’s no crying, mom,” a witty character who has created an unethical dilemma opines near the end of the pilot episode of The Twilight Zone. It is a too-rare example of what The Twilight Zone has always done—whether it was the original show or this latest (3rd remake or 4th series)—when it’s hitting a mark: make you think. If the episode waxes philosophical or makes you doubt contradictions—if it makes you stay up late pondering great life questions of fate vs. free will—or if it just makes you look over your shoulder because you have a sudden chill that you can’t explain—then the show has done something right. But so far, this new incarnation of The Twilight Zone is muted, making it at best a partial success. It fails to make viewers do much more than hope it will be good. Forget about being creeped out: you may need a caffeine boost just to stay awake through the unevenly timed and unnecessarily long episodes. It’s not profound enough. Not interesting enough. And certainly does not take us into another dimension, but instead to a tired computer screen where you may be more compelled to switch to the newer (and better) Star Trek: Discovery, The Good Fight, or any of the 38 seasons of Survivor. How can the new The Twilight Zone be explained and where does it go wrong? It's, by far, a more adult Twilight Zone. But strangely, that makes it even more problematic. 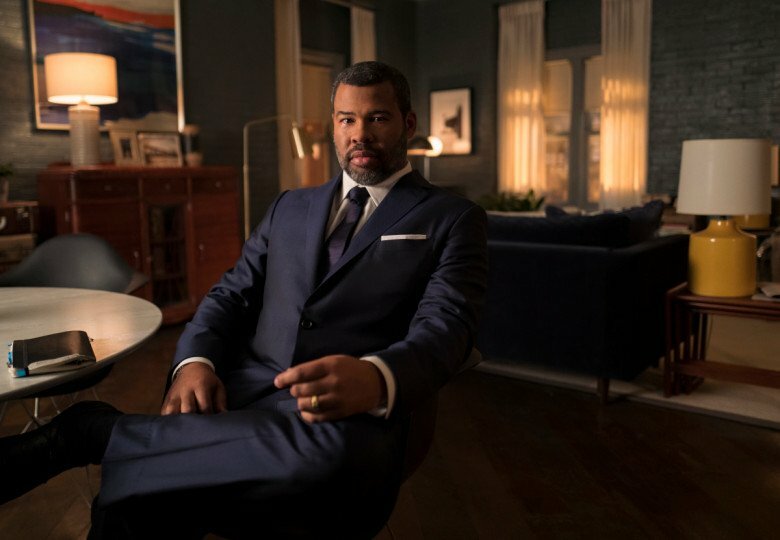 Because it’s on CBS All Access, the team of producers (it has 8 executive producers alone, almost enough for one per episode: Jordan Peele, Simon Kinberg, Win Rosenfeld, Audrey Chon, Glen Morgan, Carol Serling, Rick Berg, and Greg Yaitanes) have apparently decided that this is not your parents Twilight Zone. While that may at first seem fine, the unnecessary quantity of swearing in the pilot is baffling. The show carries the TV-MA warning for language and (strangely non-existent) violence, and while I suppose this is realistic for a comedy club setting (the primary location for episode one)—it also seems unfortunate. There’s no reason for the show to not appeal to all audiences. Good writers and producers can craft this show to appeal to everyone. Doctor Who in the UK is popular with kids and adults. You’d think the nostalgia factor alone in Twilight Zone could bring older audiences to this and there’s no reason it also can’t be a family show. Except they added enough language and violence to purposely drive away the families and turn off the nostalgic old-timers. Somewhere, you have to think the CBS brass are wondering at the decision-making of Jordan Peele and company. Yes, they probably have a minor hit. But limiting who will watch this show seems rather foolish.. Even more disappointing, though, is the quality of the first two episodes. The first episode, “The Comedian,” a cautionary tale of a comedian named Samir Wassan (Kumail Nanjiani) who was offered success (but for a price he initially fails to understand), is so poorly written and paced that it makes one wonder why the network chose this as its first episode to air/stream. The flaws of the episode are many: for an episode about stand-up comedy, even the “successful” moments aren’t funny. for something else to happen, but can predict almost everywhere this episode is going. The only salvation might be the particularly strong supporting appearances by a competing comic named Didi Scott (Diarra Kilpatrick), and an entertaining (strong is an overreach) performance by the comics’ mentor and famous comedian JC Wheeler (Tracy Morgan), who helps pose the ethical question and warn us that the devil is always in the details. While it’s true the episode should resonate for the thematic questions it raises (What is success? How much would you pay for success? Why do people only want to hear personal stories and not care about the ills of society? )—when we can’t connect to characters or get a sense of any emotional impact it’s difficult. The inept pacing of the show (50+ minutes and about 15 minutes too long) is even more frustrating--when things start spiraling out of control for Samir viewers quickly get the pattern--why continue to show it? It seems the editors themselves have been zapped into another dimension. Perhaps they hired so many executive producers they had no money left in the budget to actually edit the program. The second episode, “Nightmare at 30,000 Feet,” seems to be a modern day re-telling of the Malaysian Airline Flight 370 that went missing crossed with Shirley Jackson’s The Lottery. It tells the tale of an investigative journalist who listens to a podcast about a missing airplane while on the very airplane that is about to go missing. It’s a clever conceit, although not original. This episode stars Adam Scott (Parks & Recreation) as Justin Sanderson, a paranoid journalist. He has only a short amount of time to figure out why his plane will become part of aviation history, and his paranoia continues to get to him. It’s a retelling of an original The Twilight Zone episode “Nightmare at 20,000 feet” from decades ago, but that version had more of a clever plot. (The original starred William Shatner as a man who saw a gremlin on the wing--by far already more interesting than a podcast listening man prone to a panic attack). The problem is there really seems to be no choices he could make that will create a positive outcome—and in many ways it is a massive waste of a talent like Scott. He parades around the aircraft pointing at suspects and asking for air marshals, and we are never sure if we should be sympathetic or wish he’d just sit down. (Where’s the United Airlines staff to drag out an extra unwanted passenger when you need it, I pondered). And while there is a twist, it seems likely you saw it coming half way through the program. Jordan Peele’s narration is a bright spot—part creepy, part sinister. He strolls through the episodes as part mentor and part strange friend you can’t quite place and don’t really want to be alone with. He pulls off the nuanced subtle emotions that work. It’s just unfortunate the rest of the episode can’t continue. Peel has succeeded in finding the exact right tone for The Twilight Zone in his narration. Let’s hope the rest of the episodes can somehow find a way to match the quality of the narration. The Twilight Zone airs on CBS All Access. The first two episodes are available now and episodes 3-10 will be released once a week, every Thursday, through May 30th. Where is the creepiness? Where is the originality?